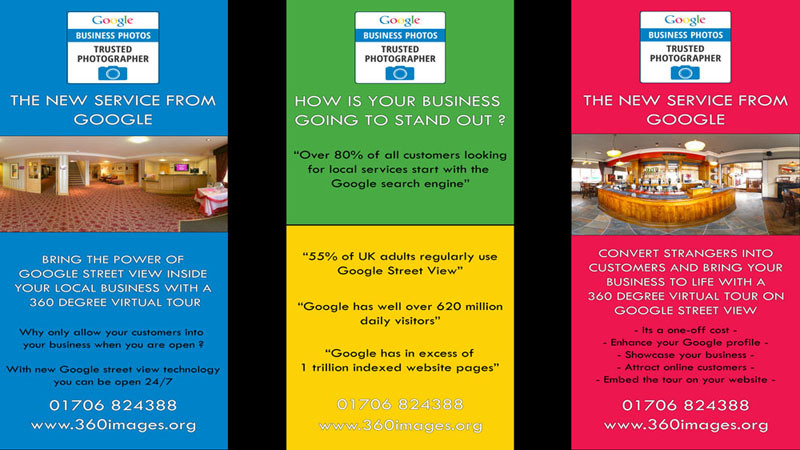 For a Professional Google Business View Photographer in Manchester, please contact 360 Images today! The easiest and quickest way to contact us at 360 images is to ring one of the numbers below and we will happily answer any of your questions. If you require a quotation then please have as many details about your business to hand when you call. If your business is outside the North West then ideally we would like some images showing the size and layout of your business to give us an idea of the size of the Google Business View Virtual Tour required. All appointments are by prior arrangement but if you are coming to see us then please use the planner below for detailed instructions on how to find us.